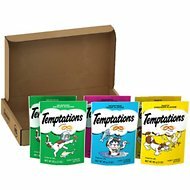 Bring your cat delicious variety with Temptations Classic Variety Pack Cat Treats. 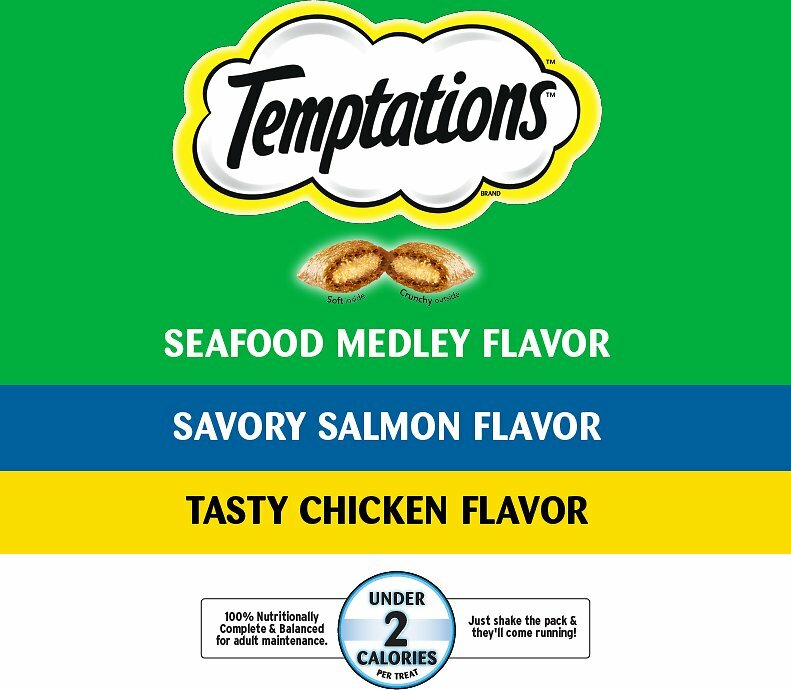 This variety pack includes three incredible recipes to keep your kitty interested—Seafood Medley, Savory Salmon and Tasty Chicken. 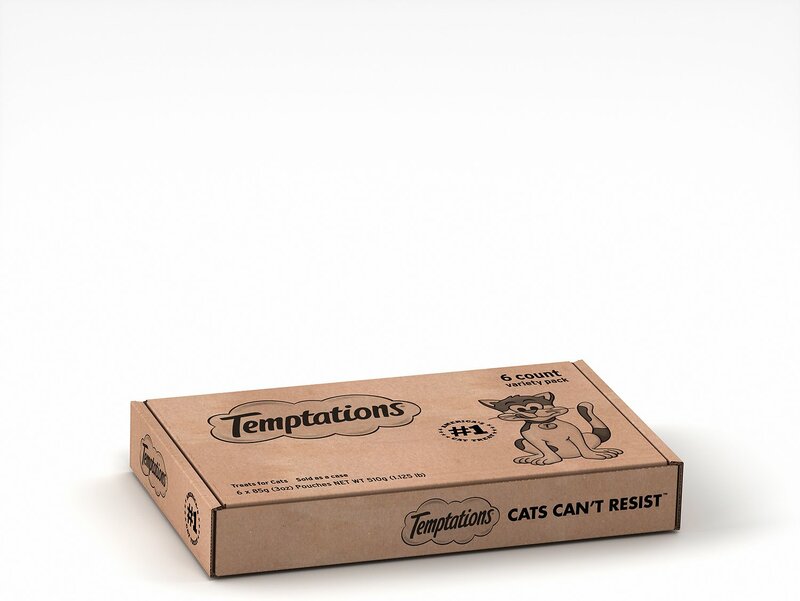 Each treat features a deliciously crunchy outside with a soft, meaty center cats just can’t get enough of. And they have no artificial flavors. Best of all, with approximately two calories per treat, these little goodies make the perfect snack or reward that can be given anytime. 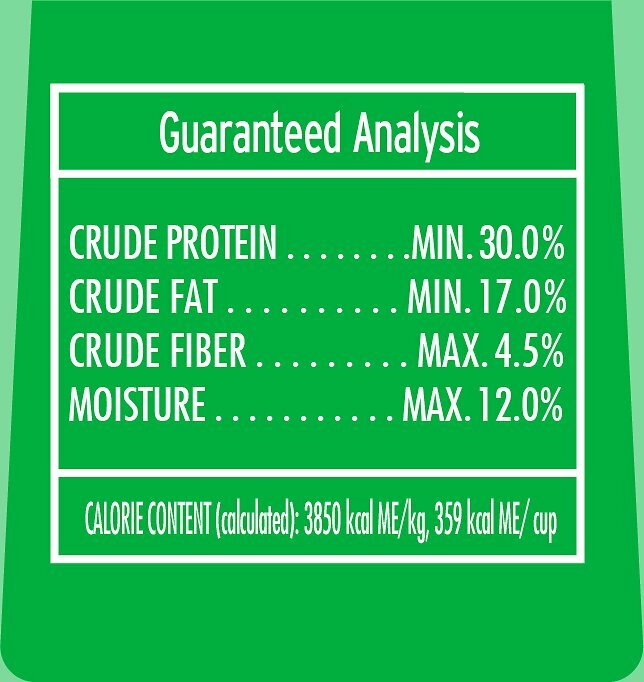 Tasty Chicken: Chicken By-Product Meal, Ground Corn, Animal Fat (Preserved with Mixed Tocopherols), Rice, Dried Meat By-Products, Wheat Flour, Natural Flavors, Corn Gluten Meal, Potassium Chloride, Choline Chloride, Salt, Calcium Carbonate, Taurine, Dl-Methionine, Vitamins (Dl-Alpha Tocopherol Acetate [Source of Vitamin E], Vitamin A Acetate, Niacin Supplement, Vitamin B12 Supplement, Riboflavin Supplement, Thiamine Mononitrate, D-Calcium Pantothenate, Vitamin D3 Supplement, Biotin Supplement, Pyridoxine Hydrochloride [Vitamin B6], Folic Acid Supplement), Minerals (Zinc Sulfate, Copper Sulfate, Manganese Sulfate, Potassium Iodide), Dried Cheese. My boys go crazy for these treats. 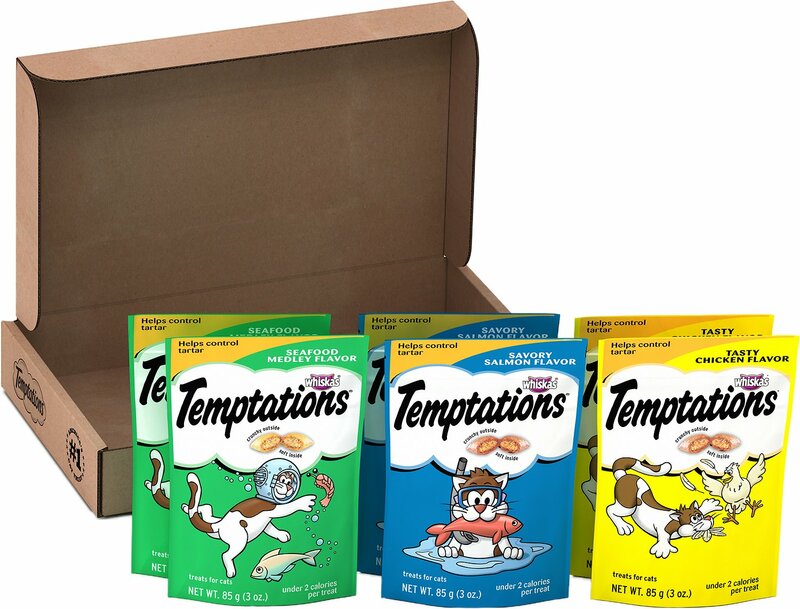 The last time my Chewy shipment arrived, I had taken the Temptations box out of the big Chewy box and put it aside. My 3 yr old Russian Blue tried to make off with the entire case! He's a pretty clever kitty, and watching him try to push the Temptations box, then drag it with his teeth, then try to get it open was pretty entertaining. My other kitty jumps on the shelf where these are kept, and knocks a package off the floor and then sits in front of it meowing until I get the hint. 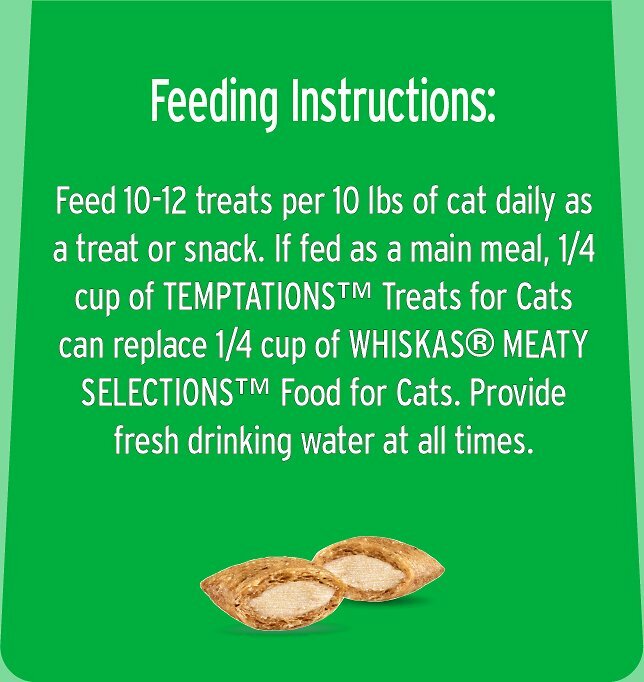 Our three cats love Temptations of any flavor. They get excited when they hear the bag being opened. They love the taste and I love how happy they are to have these included in their diet. Its a win-win for all. Just be careful though, they will wake you at 3 am for a snack of these tempting goodies. The cats love this and I love that it is in a box with multiple flavors. 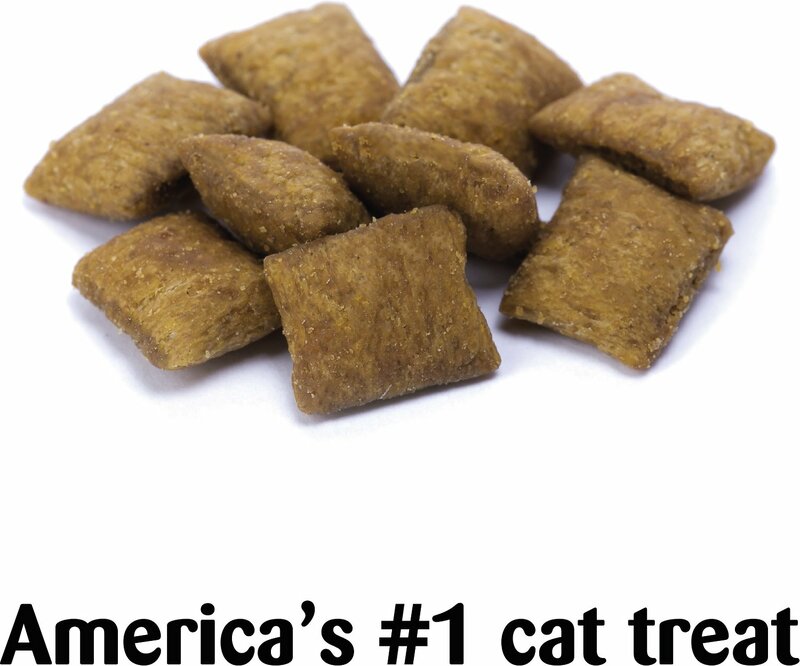 This is downright addicting to cats and once you begin giving them these treats, they will grow a nasty attitude. Sure, they will love you but if you run out or begin to run low, know that they will meow for you to order once again....or else. I am currently nursing a twisted ankle from three of my cats ganging up on me going out on a Saturday to the farmers market and not coming home with their refill. These four legged addicts tackled me and since I am now in a chair, decided to order from Chewy to deliver another box to our home. I am willing to pay for the rush delivery due to my being in fear for my life. I bought this for a Christmas gift for my brother, who fosters kittens for a local rescue group. 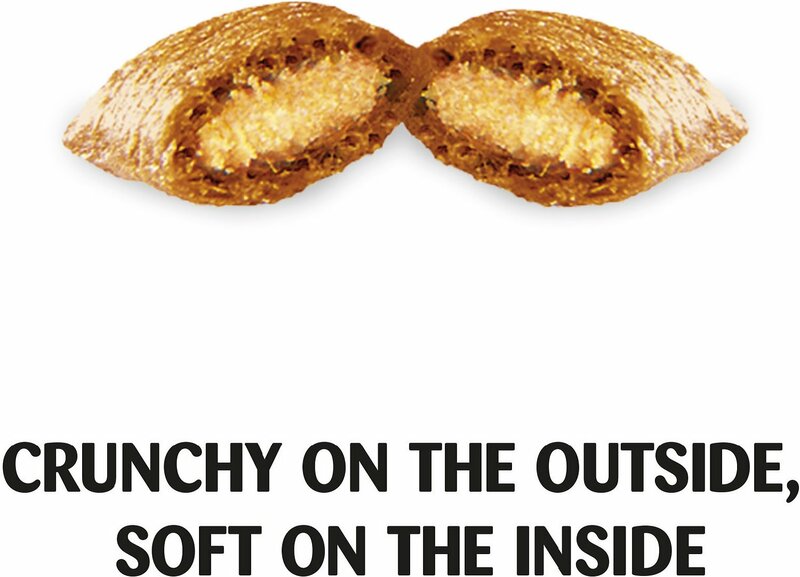 It is packaged well and easy to wrap! My 4 kitties love their treats. Miss Peanut will mew at me after our supper until I get the treats out for all of them. Great variety pack. My four kitties love Temptation treats. In fact, they are the only ones they will eat! Opening a bag brings them running. Princess comes in when she’s called. She knows she will get her favorite treats! Great selection of cat treats. Convenient way to order them. They are all our cat's favorites.